Sign Up Now For The Winter Session! New Brown Belts ! Congratulations ! 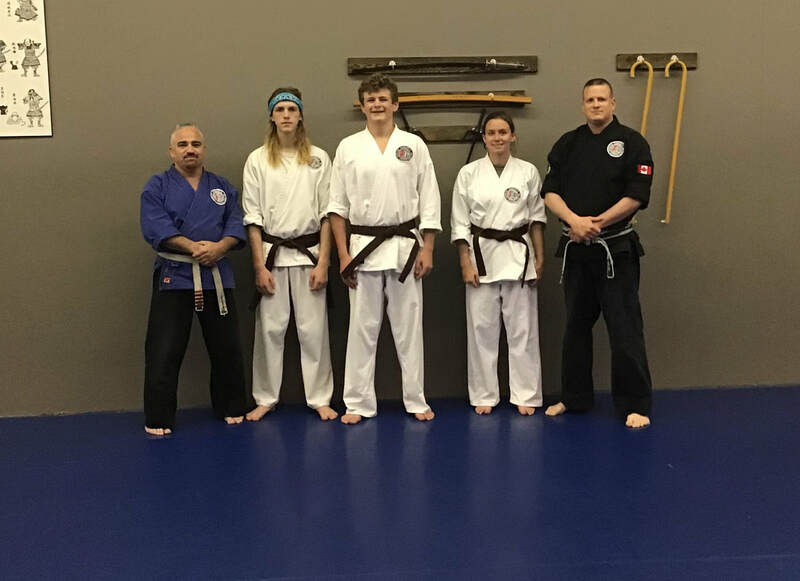 Congratulations to Griffyn, Maddy, and Tyson on receiving their brown belts this pass sunday! On May 26th a large number of our students competed at the 40th annual Western Canadian Karate Championships as this stellar tournament winded down, a number of students hand come away with medals. The competition for this tournament was top notch and we are very proud of all the students that went and participated. Congratulations to all. As well as a special congratulations to Michelle and Tim moen Receiving the supportive parents of the year award, and Ethan Lougheed for student of the year. Congratulations to our four new Blackbelts! 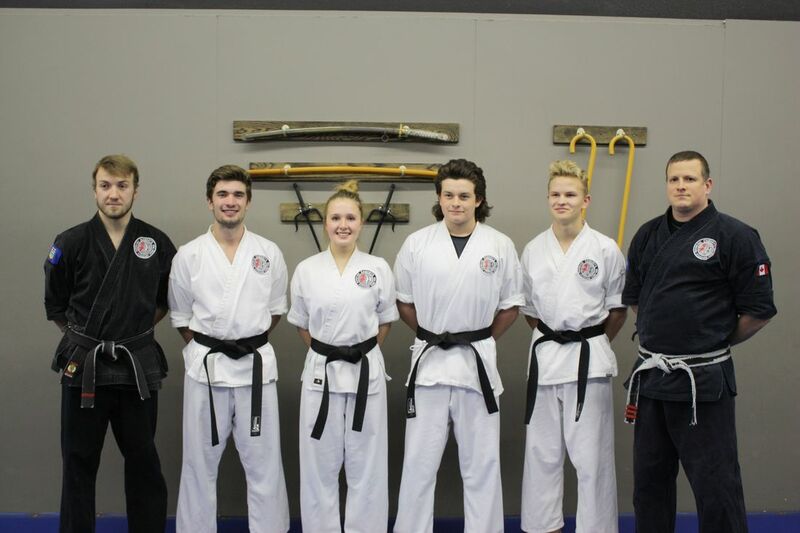 Huge congratulations to Jerrica, Ian, Carter and Teagan on becoming Sensei's after years of hard work and dedication with the goal of becoming blackbelts, they achieved this goal! As well as congratulations to Sensei Michael on earning his 2nd degree BlackBelt! 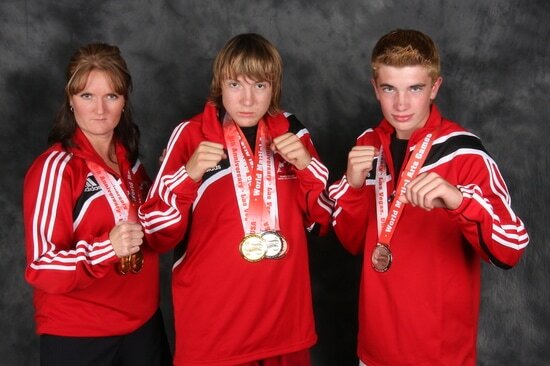 Congratulations to our students who attended the World Martial Arts Games in Las Vegas on September 19-21, 2010. Sensei Michael Roe won Gold in continuous sparring, Silver in point sparring, and Bronze in kata; Tracey Grant won double Gold in continuous sparring and point sparring; Teagan Shandro won Silver in point sparring; Chase MacAulay received honorable mention in kata and sparring.